An observed population reduction of > 30 % occurred in the last three generations (120 years) due to bark harvesting for the medicinal plant trade and habitat loss outside of protected areas. South African EOO 11 600 km² and AOO < 2 000 km² and subpopulations are severely fragmented and there is continuing decline of forest habitat due to deforestation, subsistence crop cultivation and bark harvesting. The national assessment is downgraded by one category due to the South African population being continuous with the rest of the global population in Swaziland and Mozambique. False Bay to Maputaland in KwaZulu-Natal, also occurs in Swaziland and Mozambique. 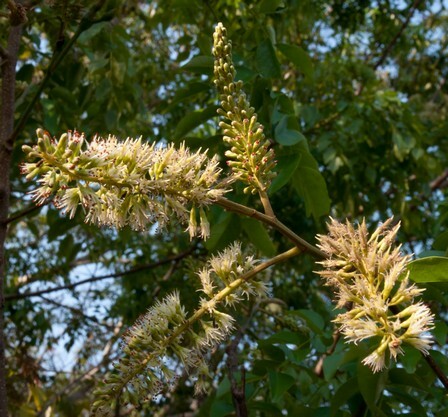 The tree, the bark and roots of which are very toxic, is used extensively for traditional medicine. Gerstner (1946) nominated it as number two on his list of species in danger of immediate extinction. Of the species Gerstner (1946) writes: "the retail price of an inch of these roots is sixpence, so it will be understood that it pays very well to collect it". Gerstner also chronicles how a stationmaster at Hluhluwe had observed 40-50 bags of the roots and bark of E. lasianthum being railed to Durban in a single day. Cunningham (1988) estimated that 201 bags (50kg-size) were sold annually by 54 traders in the KwaZulu-Natal region, and it was placed 32nd out of 400 species in terms of the quantity sold. 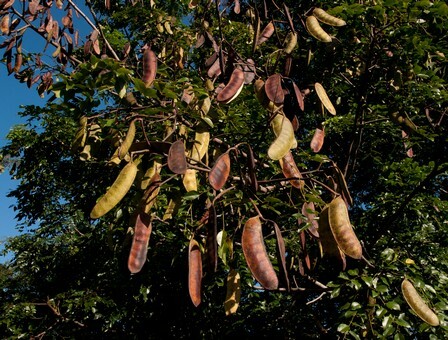 It was also nominated by herb traders as one of the 10 species becoming increasingly scarce, and was listed as 'declining' in the province - i.e. a species that was recently widespread but was likely to become vulnerable and continue to decline if destruction of wild populations continued (Cunningham 1988). The common name for the species is 'umKhwangu', and this name was recorded in 58% of muthi shops and with 16% of Faraday Street traders in Johannesburg in 1994 and 2001 respectively (Williams 2007). 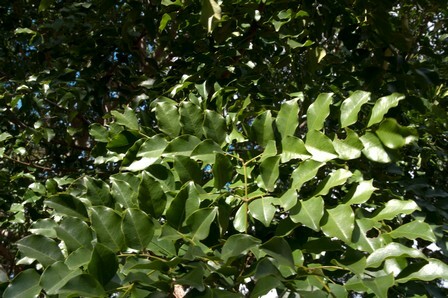 It is possible that this species is being substituted with bark from other trees due to its scarcity. At the Medicinal Plant Red List Workshop (14-15/01/2008, SANBI, Durban), the participants discussed the threats to this species. 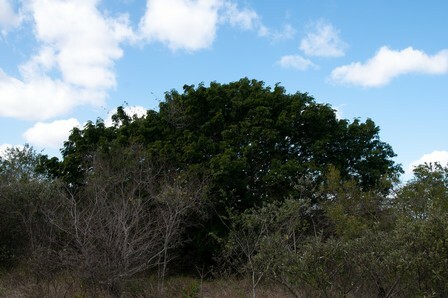 The following points were raised: a) it has a very restricted habitat; b) harvesting is very destructive and large volumes of bark are removed from the tree; c) there are large quantities of the bark in the markets; d) it is difficult to find big patches of the bark; e) successive girdling of the tree is a problem and leads to tree mortality; f) the sand forest is loosing a lot of habitat outside of the reserved due to deforestation and crop farming; g) elephants avoid debarking it, probably because of its toxicity. The group felt that there had been >30% decline in the last 120 years due to bark harvesting and habitat destruction. Gerstner, J. 1946. Some factors affecting the perpetuation of our indigenous silva. Journal of the South African Forestry Association 13:4-11. Mucina, L. and Rutherford, M.C. (eds). 2006. The vegetation of South Africa, Lesotho and Swaziland. Strelitzia 19. South African National Biodiversity Institute, Pretoria. Pooley, E. 1998. The complete field guide to trees of Natal, Zululand and Transkei. Natal Flora Publications Trust, Durban.